Which 5 Countries In The World Have The Lowest Crime Rate? Crime is a major problem not just in North America, but all over the world. The world would be such a magnificent place if crime simply didn't exist. Unfortunately, crime is one of the most complicated problems in society. Moreover, it directly affects millions of people in negative ways and forces government agencies to spend billions on facilities and/or legal fees to incarcerate those held responsible. On the flip side, there are some countries in the world that have unbelievably low crime rates. These countries deal with criminals in a way like no other nations do. Although not every European nation may be some of the safest places to live in, fortunately there is one that is. Switzerland is one of the nations that has the lowest crime rates in the world. 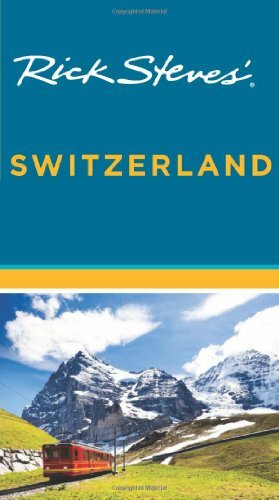 Switzerland's strong economy allows it to have high employment rates as well as a low poverty rate. According to statistics, Switzerland has around 220 police officers per 100 thousand people making this nation the safest across Europe. At the same time, Switzerland also has a low unemployment rate which does indeed have a direct correlation with its low crime rate. Even though the country tends to have a luxury-based cyclical economy, its citizens have virtually no problem when it comes to finding employment. If you travel throughout Asia, you will find out that Singapore is one of the safest Asian nations to live in. The murder rate in Singapore is 0.3 murders per 100,000 people. In regards to theft and robbery, the number is almost zero. These results are do to a strict policy towards the death penalty. This policy has put enough fear and anxiety into the population so that they will never try to test the legal system. Some critics of these policies believe that the population should not be subjected to the death penalty due to human rights violations. In the end, these measures taken by the government clearly have made Singapore a nation with so such a tiny crime rate. Since Singapore has had so much success in the field of dealing with crime, some other Asian nations have followed in Singapore's footsteps. Many view Hong Kong as the internet king of the world due to its high internet usage. You may think that this could lead to crime right? Actually, it does not at all. With only 0.2 homicides per 100,000 people the only thing you may ever experience in Hong Kong is a pick-pocketing. Furthermore, the country has virtually no robberies and thefts. Hong Kong has one of the largest financial hubs in the world which enables its population to be overemployed. This directly affects its crime rate as well. You may think that religion may play a role in crime rates especially in a primarily Muslim nation. In actuality, the reason that Bahrain has such a low crime rate is because it has the largest law enforcement force in the world especially for a country its size. There are almost 2,000 police officers per 100,000 inhabitants. There are some instances of petty crimes, but in Bahrain the chances of major crimes occurring are slim to none. Furthermore, Bahrain offers its citizens many employment opportunities in the oil and technology sector which leads to low unemployment in this tiny Arab nation. Over the past several years, Bahrain has seen the fastest economic growth in the entire Middle East. This is primarily due to its fast-growing sectors and its strategic location which enabled the country to absorb some of the foreign investment from Dubai. This nation is tiny and is also considered by many to be the happiest nation in the world. Luxembourg has a population of under 600,000 people and is made up of around 1,000 square miles. This European nation is still considered to be one of the best places to live, not just because of its beautiful landscape and history, but because of its virtually non existent crime rate. There is no doubt that crime is a serious problem across the world. Some nations deal with criminals in different ways. Many scholars have criticized certain governments because some criminals eventually gain legal rights which can prolong the sentencing process. On the other hand, capital punishment is seen by some as the answer to deal with all crimes. These five nations stand out because they have the ability to combat one of the biggest social problems that the world faces. Some experts tend to use these nations as an example and believe that other nations may want to follow some of these ideas and concepts. Only time will tell if they are implemented on a larger scale in the near future.